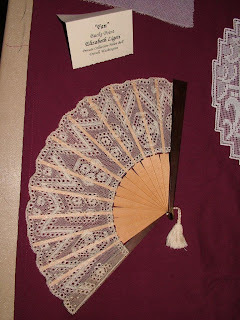 Bobbin lace fan by Helen's mum, Liz Ligeti. 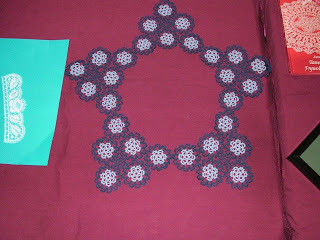 Carrickmacross (Needle) lace picture by Helen's mum, Liz Ligeti. 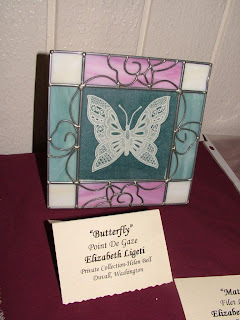 Point de Gaze (Needle) lace butterfly by Helen's mum, Liz Ligeti. 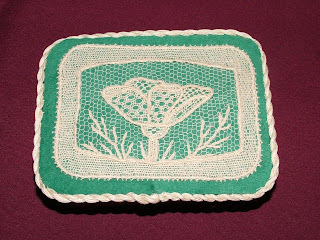 Filet (Needle) lace mat by Helen's mum, Liz Ligeti. 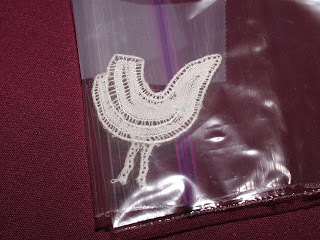 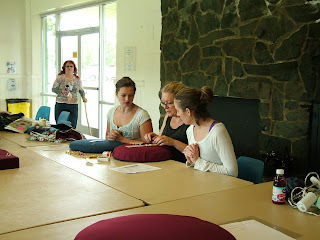 Annelore finally got back into Withof Duchesse (bobbin lace)! 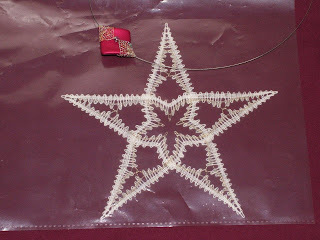 Eileen's bobbin lace table decoration star. 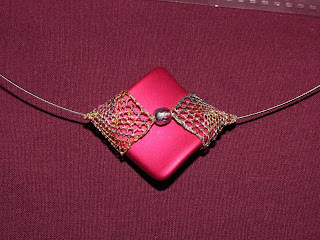 Eileen's completed necklace from Ulrike's jewelery class (design by Ulrike Voelcker). 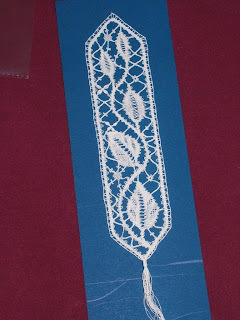 Barbara's Bedfordshire (needle) lace book mark from Jean Leader's class. 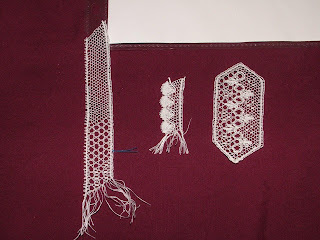 Alice completed her cuff from Jean Leader's Bedfordshire (bobbin lace). 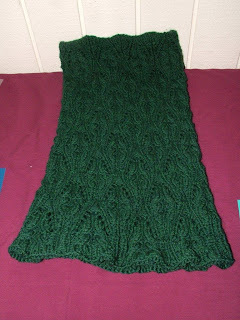 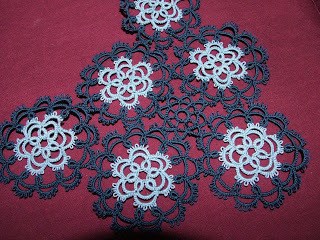 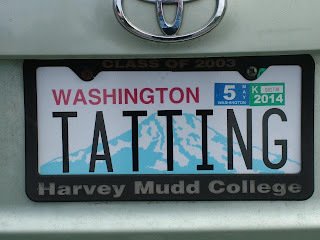 Jessica's tatted doily edging. 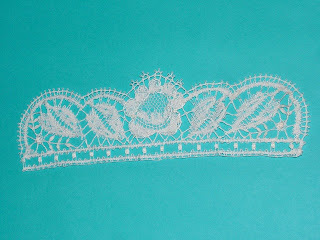 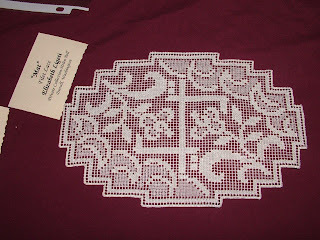 Jessica's tatted doily edging detail. 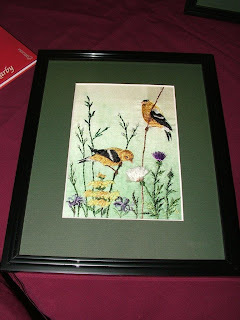 Loretta's stumpwork birds. 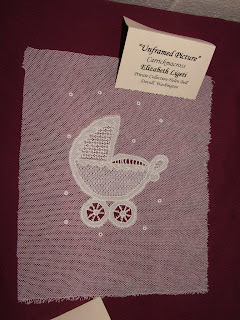 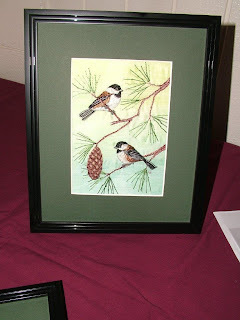 Loretta's stumpwork chickadees. 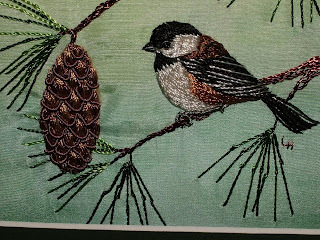 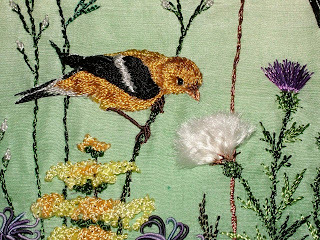 Detail of Loretta's stumpwork chickadees.